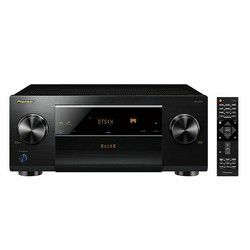 Yamaha's MusicCast multiroom system and Bluetooth in/out highlight a solid feature set. My only disappointment is that Yamaha cut the number of HDMI ports on this unit from six to four. The consolation is that all are state-of-the-art, with the ability to carry 4K signals with all the latest HDR information still attached. Yamaha RX-V481BL vs RX-V485 almost the same, but still have a lot of combinations of features, some useful, some less. Let's start. 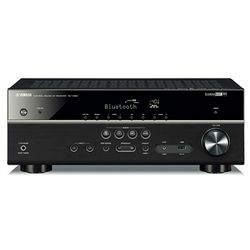 The sound of RX-V481BL is fantastic – especially considering the price of this unit – once everything is setup correctly. 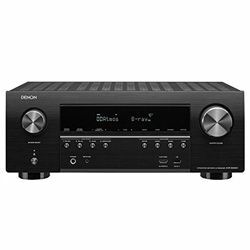 Very happy with the sound of RX-V485 and the receiver integrates seamlessly with the function of the TV, turning on when the TV turns on and back off only with the TV remote. 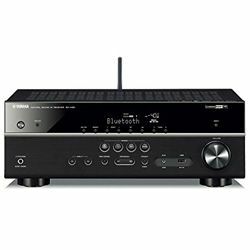 Yamaha receivers are all about customization - there are a lot of options. The MusicCast wireless features are a welcome upgrade and it supports other wireless protocols, such as streaming music directly from a NAS. 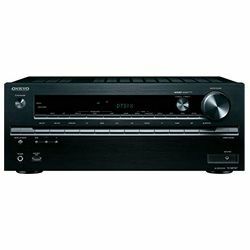 A key feature for both receivers is the auto-leveling capabilities. It comes with a small microphone with a very long cord, which has a threaded connection on the bottom that will mount on a camera tripod. You place the tripod in a normal sitting location and plug the cord into the front of the receiver. It will automatically play sounds through each of the 5 speakers and the subwoofer to determine the volume required from each speaker so the sound is ideal at that location. Once the settings are saved, they are used for each input device and maintained as the volume is raised and lowered. If you decide to rearrange the speakers and/or subwoofer, you can rerun the test to compare and adjust it for the new placements. Versus other companies which get used to strict front panels with two knobs, Yamaha is going further with its receiver design. As a result, the face has more details, and the RX-481BL and RX-485 include the most often used buttons in an easy-to-grasp layout. Sound shaping DSP- Adds some sound processing to the audio. The Yamaha mobile app works great for switching inputs, changing DSP modes. Much more convenient than navigating the menus with the remote. 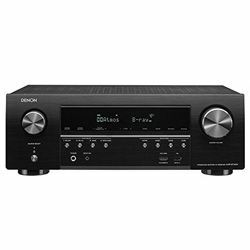 The receiver sound quality is excellent for the price. Lack of some options for perfect music playing.